Jenny and Daniel are two super sweet and adventurous souls. 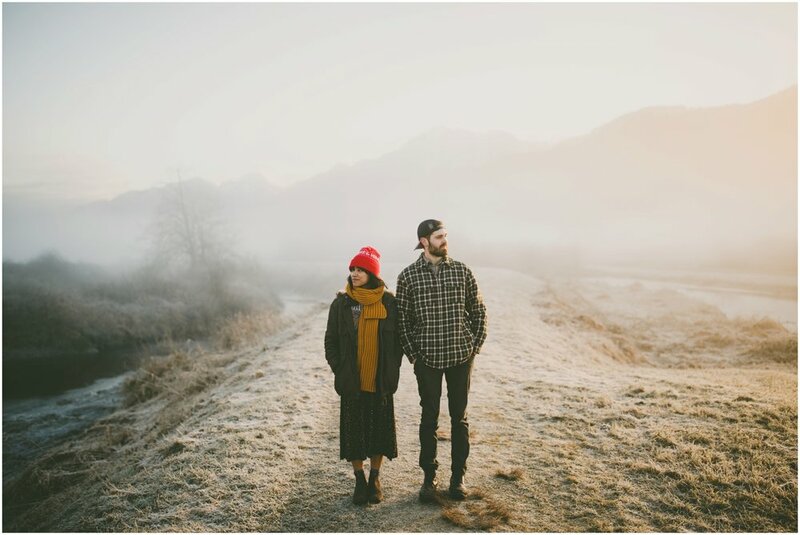 We had originally planned an epic overnight hike for their engagement session (Yes, I will GLADLY hike for your session! ), but a stress fracture ended up cancelling our plans. 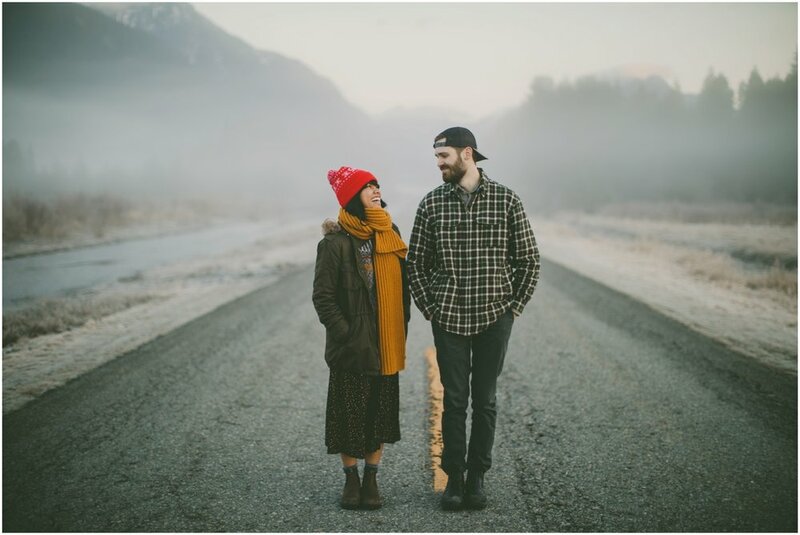 I opted to give them the next best thing, and we took a helicopter ride with Sky Helicopters to a snowy mountain peak after shooting the first part of their session at sunrise. We were treated to some epic winter fog along the dikes at Pitt Lake, which made for some gorgeous and moody images that I am completely over the moon with! Then, we climbed into our helicopter and frolicked in foot-deep snow on a mountaintop in Pinecone Burke Provincial Park. These two brought out their sweet and silly sides, and we all had sore cheeks by the end of our time together.